D.E.L.T.A. Rescue organization rescues abandoned and abused cats and dogs discarded and forgotten in the wilderness. Caring for up to 1,500 animals at the largest No-Kill, Care-for-Life animal Sanctuary of its kind in the world. "Herc" is plucked from death in the desert! Look at this forsaken dog. Without people like you he would have died, curled up below. Herc had a horrible life, and then he was tossed into the desert. His broken leg and hip are old injuries. Herc has been carrying this painful leg around for so long that our doctors are amazed he's still alive. His tragic life was coming to an end. Weakened from starvation, broken bones and parasites, Herc just curled up on this old sofa, and he waited for death to claim him. 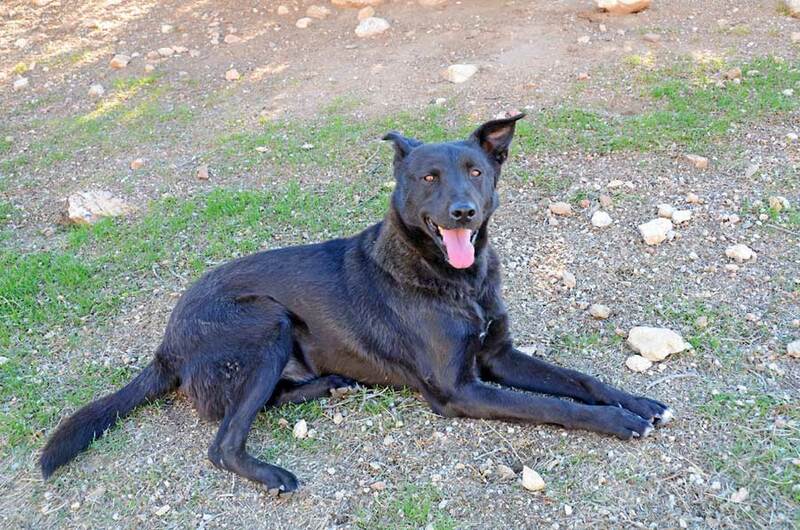 Too weak to care anymore, Herc let us pick him up and take him to our desert field hospital. 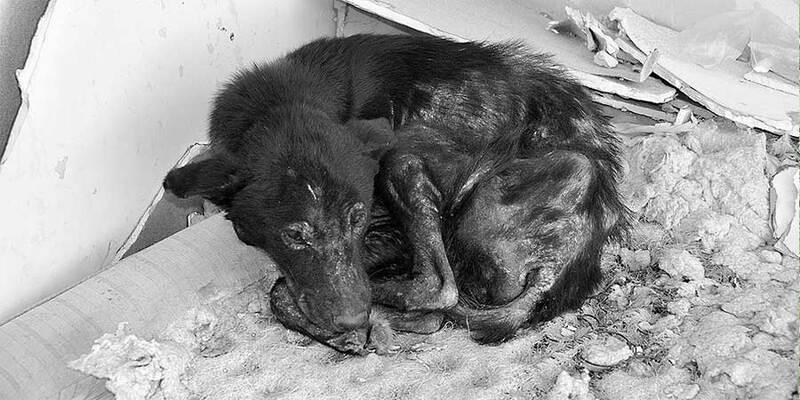 He was covered in mange, he was cold from being without a coat, and he could barely stand. I was so worried that he wouldn't make it. Then miraculously, his broken body responded. In a while he was able to travel to our sanctuary for more intensive care. Herc's right rear leg is broken, and so is his hip. This was a devastating injury and he was in excruciating pain for a long time. We are holding our breath for the final verdict of what is best for Herc, but no matter what we do, it will be what is best for our Herc. We can operate when the mange mites on his skin are dead, and when he is strong enough to undergo such a major surgery. Meanwhile he gets stronger every day. Below is Hercules after just one year at DELTA Rescue.